Click the My Account link at the top of the screen. The My Account page will open. 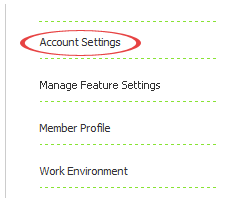 Click the Account Settings link at the left of the page. Next click the Edit button to the right of Password. Now proceed with entering a new password in both the password and confirm password fields and then click the Submit button.